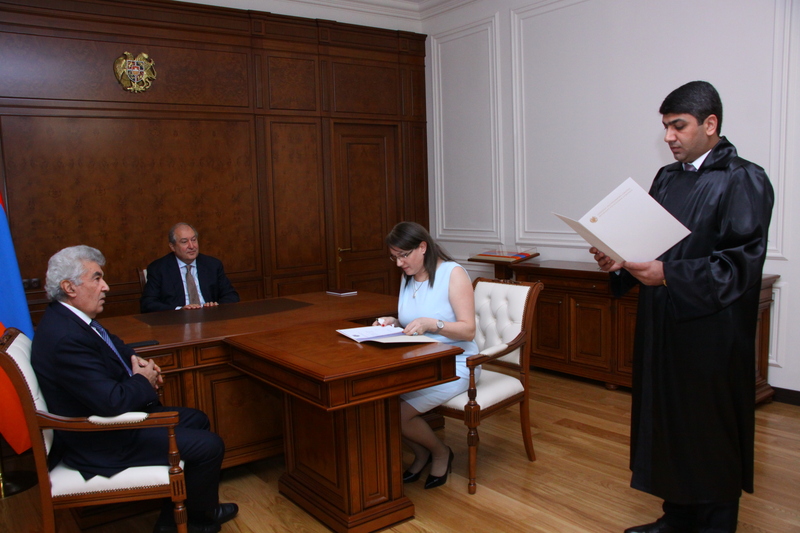 Today, at the Presidential Palace, in the presence of President Armen Sarkissian, the swearing in ceremony of the judge of the RA Administrative Court Robert Makeyan took place. 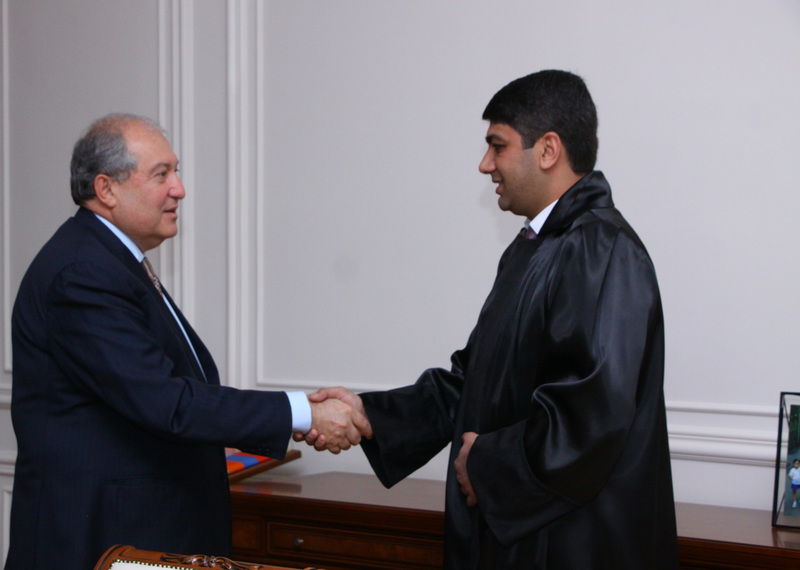 President Sarkissian congratulated the newly appointed judge and wished him success in his responsible work. 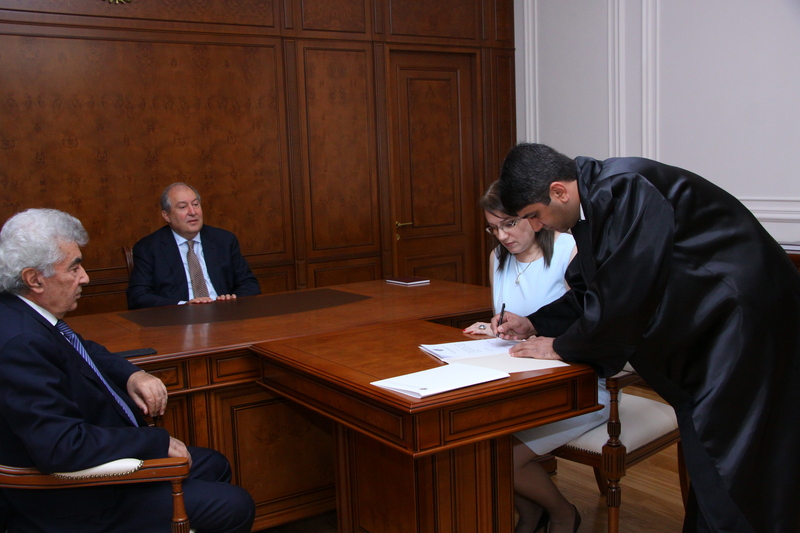 © 1999-2019 The Office to the President of the Republic of Armenia, Copyright.